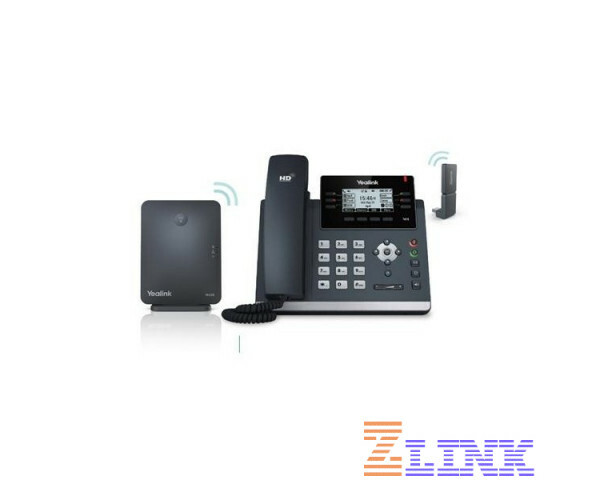 The Yealink W41P DECT Desk Phone Solution is ideal for users wanting the full desk phone interface with the added bonus of wireless mobility. This solution is ideal for warehouse, SMBs, SOHO and retail outlets and includes the Yealink T41S, the Yealink W60 base station, and the Yealink DD10K. The W41P Solution provides users a wireless system that does not compromise the full desk phone features they are used to. Just connect the Yealink DD10K DECT Dongle to the T41S, then pair it with the base station and you can now use your desk phone anywhere there is a power. When the DD10K is paired to the base station, it enables the T41S/T42S to work concurrently with the Yealink DECT system as 1 of 8 handsets supported by the W60B. This wireless solution allows for flexibility and improves the user experience. To learn more about this solution, read the datasheet. Why Pay $ for the Yealink W41P DECT Desk Phone Solution?